Actor Seo Kang-joon, who was recognized for his stable acting performance and the impressive presence for his role, Yoon Eun-ho in the popular drama, "This Is Family" has presented different sides from his usual images. Seo Kang-joon showed off his versatile images in the pictorial for "Bazar" March issue, from the witty facial expression to the gentle presence. According to the staff on the set, he pulled off the outfits in various colors and with busy patterns perfectly, which enhanced the level of perfection of the pictorial. 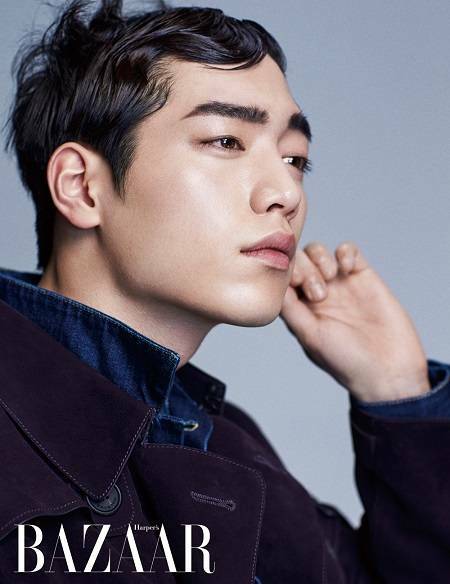 In the following interview, Seo Kang-joon said, "I previously had a mindset I would find a good project so that I promote myself and gain more polarity through the project. However, acting in "This Is Family" along with the veteran actors, I realized that presenting consistently good acting performance is way more important than trying to gain popularity or fame". When he was asked about his role in triangle love in the recent dramas, he said, "If a woman I like is drawn to another man, I think I would not even dare to try. But if she's interested in both, then I may try. I'm not the kind of person who would fight to win heart. However, I believe sincerity works". Meanwhile, Seo Kang-joon will take a new challenge in a period drama for the first time, through the drama "Splendid Politics", which is scheduled to start airing in April. He will paly the role, Hong Joo-won, who displays genus qualities and also is in romantic relationship with Jeong-myeong princess. More of his pictorial and interview can be seen on "Bazar" March issue and the magazine's home page (www.imagazinekorea.com). Korean documentary "Heroes of Dokdo"
Upcoming Korean documentary "The Admiral's Path"